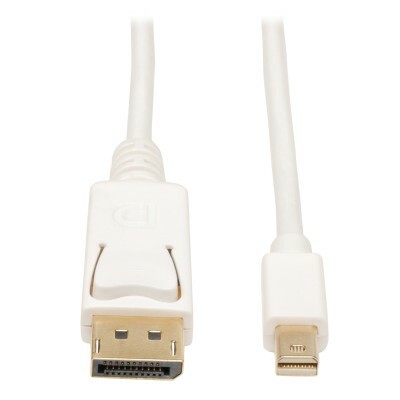 Tripp Lite's Mini DisplayPort to DisplayPort 4K @ 60 Hz Adapter allows a PC or Mac's Mini Displayport (or Thunderbolt) port to connect to a Displayport monitor. Supports Ultra High Definition (UHD) 4K x 2K video resolutions up to 4096 x 2160 @ 60Hz, including 1080p. Note: This cable is uni-directional. Will only work from a computer Mini Displayport to a Displayport monitor.